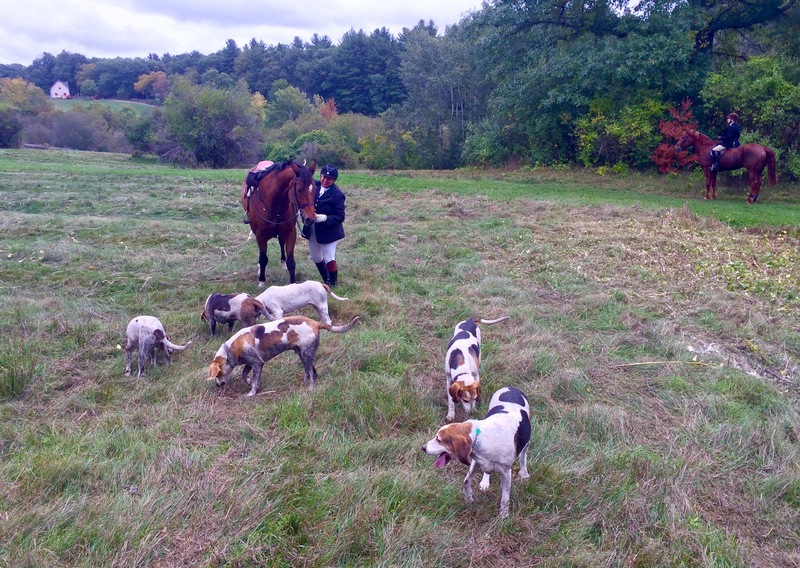 Gathering the hounds at the end of the hunt. Despite the drought you can see that some of those hounds found some mud. 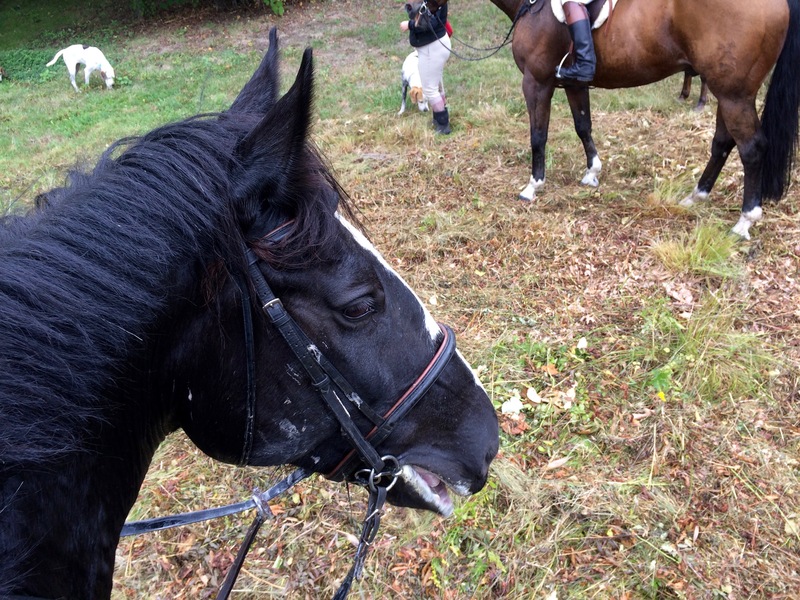 Since I’m lucky enough to have two horses to hunt right now, I’m giving them each a turn. Last Tuesday was Zelda’s turn. I like this territory — it’s got some lovely open fields and is only about ten minutes from my barn. 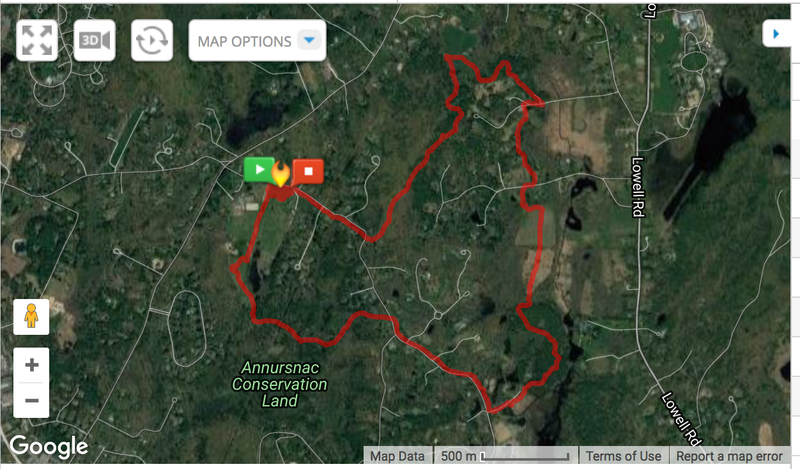 You can see on my tracking map that I spent a lot of time going in circles at the beginning! Zelda has been feeling frisky. 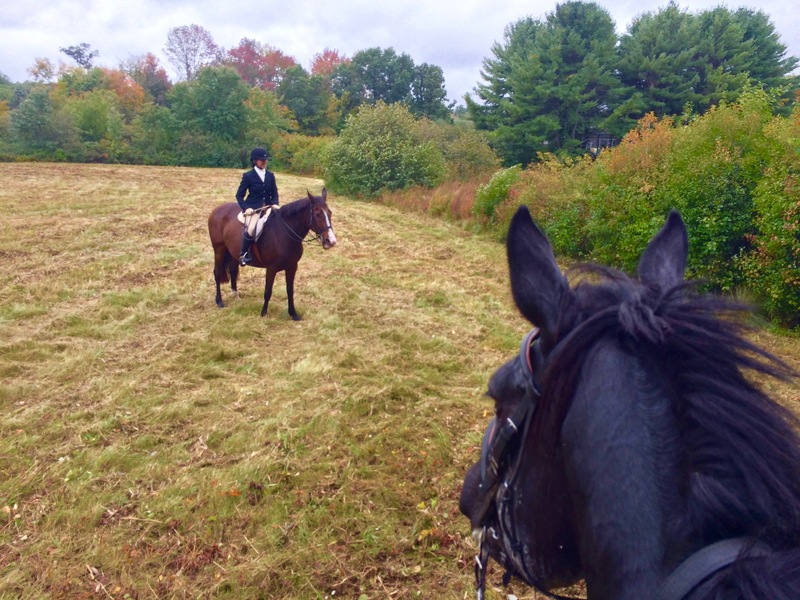 I’d taken her on a hunter pace the Sunday before and she had thought long and hard about bucking. Usually if I growl at her she settles down but I’m sure there were a few teams out there who wondered what kind of wild animal was out in the woods! On Tuesday, my strategy was simple. I wanted to tire her out. I got to the fixture early and put her to work. 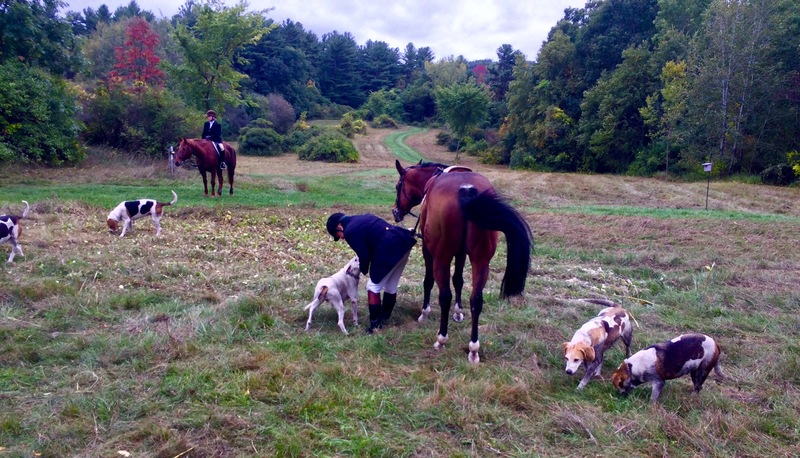 I had my tracker on and we logged almost three miles at a trot and canter before the hunt had even started! The pre-hunt workout worked well. No bucking although Zelda was pretty strong the whole 8 miles. I’d brought a new pair of gloves, which turned out to be too small, and my hands were complaining bitterly by the end. We had a brisk ride to the check. 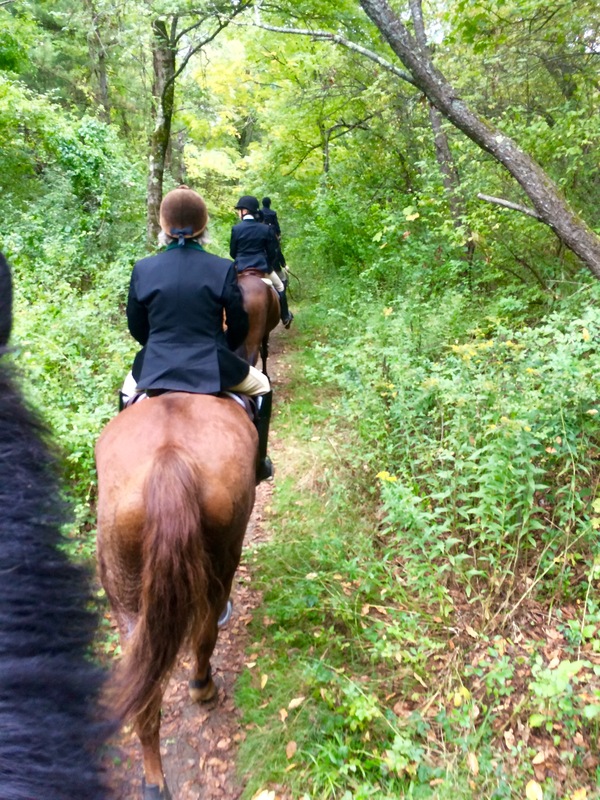 I wasn’t able to take many photos at the beginning of the hunt because I needed both hands on the reins. Zelda was very frothy. It was warm out and she put in some “extra” effort. 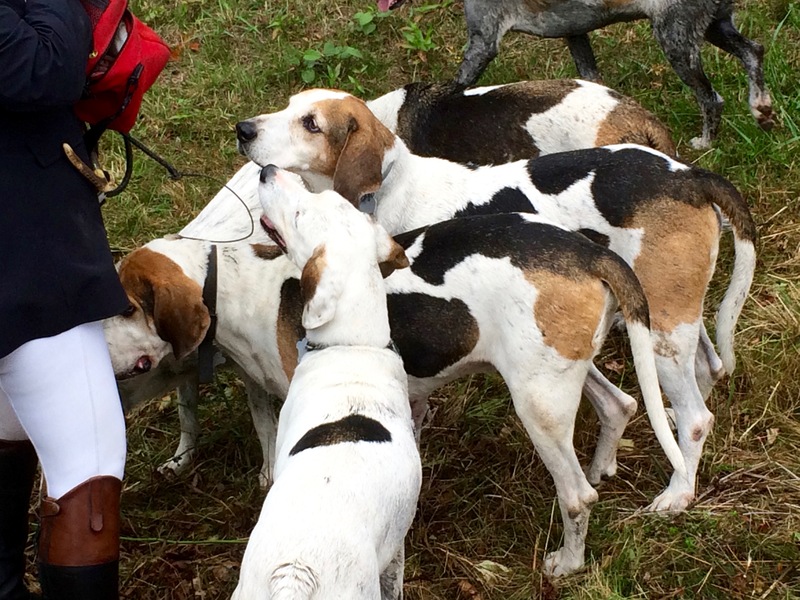 The hounds enjoyed their mid-hunt biscuits. It was still quite green in the woods. Not as much fall color as on the rest of the ride. We saw some great work by the hounds. Weather conditions were excellent for holding a scent. Before you share your trailer . . .